UBCFX Bitcoin Broker is by origin a fresh new forex broker that allows you to trade on Currencies, stocks ( European, Indian, US and rest of the World ) , gold, oil and other commodities as well as certain Crypto currencies. As you can see there are a lot of BTC Bitcoin currency pairs for trading. the trading conditions are market average. not more expensive or cheaper than you will find it else where. there are fixed and variable Spreads depending on the cryptocurrency you look to trade. Clearly Bitcoin trading is on the forefront of UBCFX as the possibilities of trading are large by normal standards. The broker offers 4 different trading platforms but they exist out of 2 different software’s. This trading platform is a mature and serious trading platform that rivals the most advanced other trading platforms. The Sirix Station trading platform is the most dynamic and popular platform throughout the financial industry in 2018. The platform’s advanced functionality allows UBCFX traders to make accurate predictions and successful trades. one click trading and fully customized, the platform allows the investors to trade a variety of assets ( including Bitcoin) all from one single interface, and is accessible anywhere, anytime. Trade with Just a Click. Easily execute trades with one-click trading. The streamlined user-friendly interface allows you to open a position at the last moment with just one click. The new Sirix station comes with more than 30 popular indicators ( some were not known to me) and advanced charts, you are able to trade directly from the chart. More tools are added all the time to give you an edge on the market. An engaging trading platform with an easy-to-use interface, Activ8 brings the traders to the right place, according to their interests and level of expertise. Traders can choose from a range of simple copy strategies to enhance their enjoyment and user engagement. A visually effective personal dashboard is displayed to show traders comprehensive information about their account status. Trades can be executed with just one click from trading analysis tools, be it news feeds, charts and economic calendars. 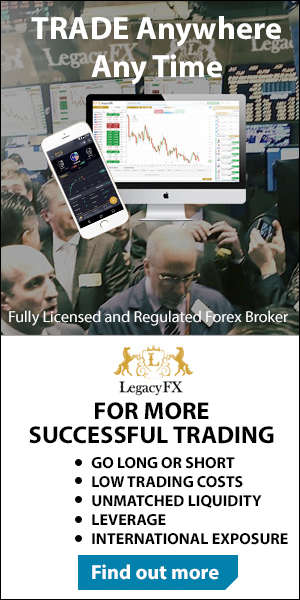 for all account holders UBCFX provides free forex trading signals that will let the trader know when there is a great trade opportunity for them to take advantage of. these signals or recommendations will be send to you through different means and you have to choice to act upon them or not. the Trading Signals are provided by market expert analysts that will only send you a signal when they believe the market is moving in a specific direction..
they offer several different trading accounts. the account depends on the size of your investment. you are absle to upgrade on second deposit if you start with a lower account.